Possibly one of the most important things you can do for your body other than eating right, is to get the proper amount of sleep. I know, you are busy! I know you are up and down all night with the kiddos (and pets). 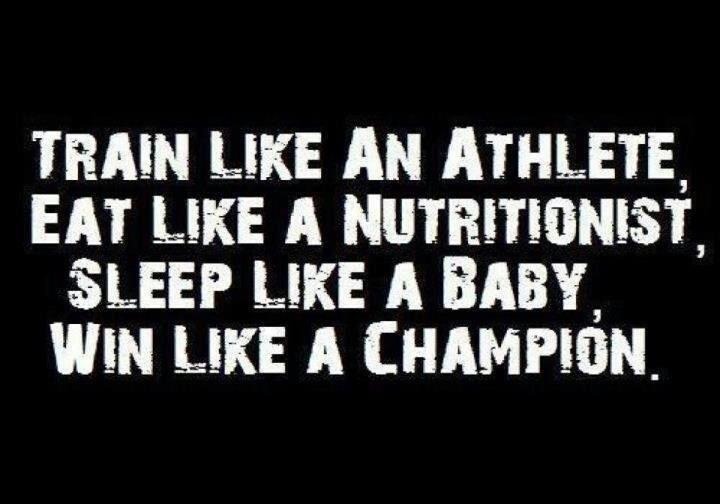 But you have to sleep if you want your body to fight off all the nasty germs/illnesses and recover from your training plan. It’s a must. This is all I could think about last night as I was up and down a billion times with my dogs. We had a rough one last night and every time I went up and down the stairs, my legs were screaming at me. My left foot hurts and my legs are fatigued. 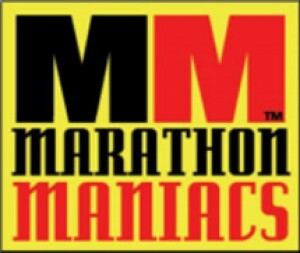 On a good note, next week I get to cut back on workouts to freshen up for the Indianapolis Monumental Marathon. On a bad note, I’m pretty crabby. Sleep is the most important time to recover. Adequate levels of sleep help to provide mental health, hormonal balance, and muscular recovery. You need to get enough sleep, which is between seven to ten hours for most athletes. 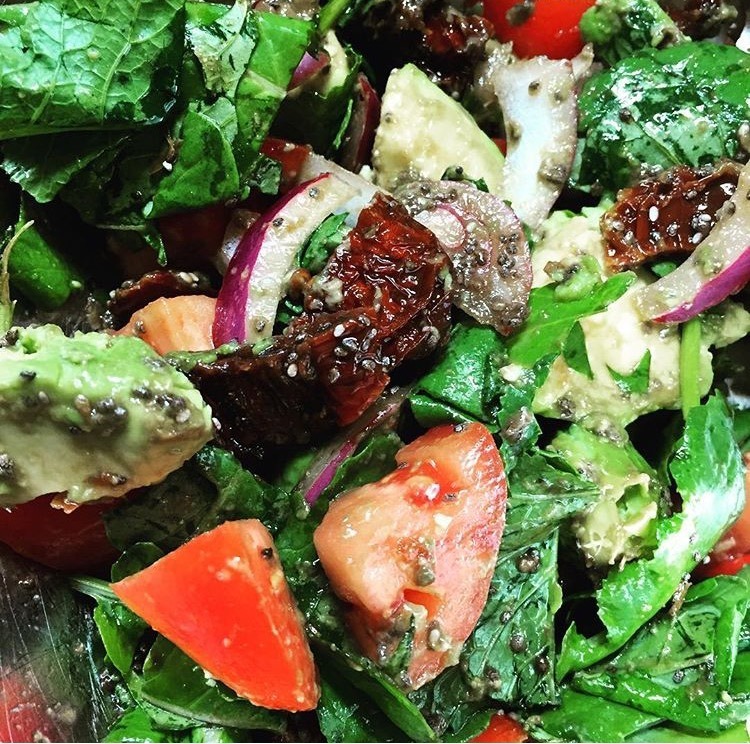 Everyone has individual needs based on their lifestyle, workouts, and genetic makeup. Go to bed earlier. I’ve been going “upstairs” early. Like between 7:45 & 8:30pm. Some days it feels like a punishment. Other days it’s a relief to get Mr. Michael settled early and have a bit of quiet in the house before sleepy time. Drink hot tea or take a hot shower before bed to relax. Use that crockpot & try to get dinner on the table earlier so that you aren’t cleaning up the dinner plates and rushing the little ones to bed at 8pm. So hard for me. I had everything cleaned up by 7 or 7:15p last night and it felt like a huge win. Read, write or do something for “you” directly before you turn out the lights. 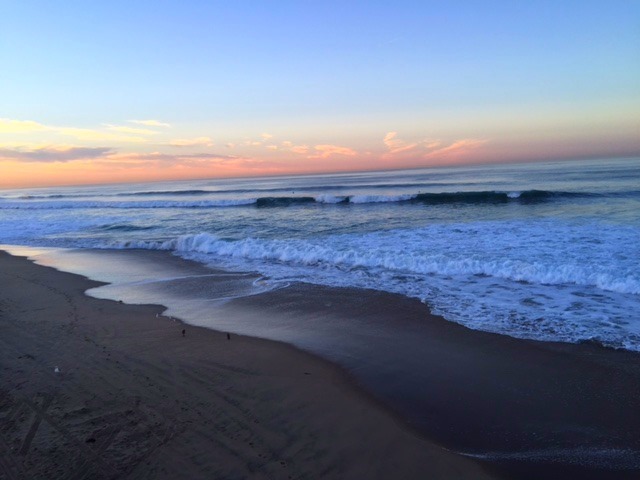 Step away from the kiddos for a minute and just breathe. Yoga, anyone? 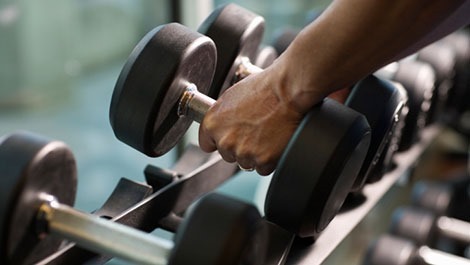 Get that workout in before dinner so that your endorphins have time to dissipate before bedtime. I’ve never been a fan of the evening workout but when I hit a workout after work, I keep it short & sweet with lower intensity. 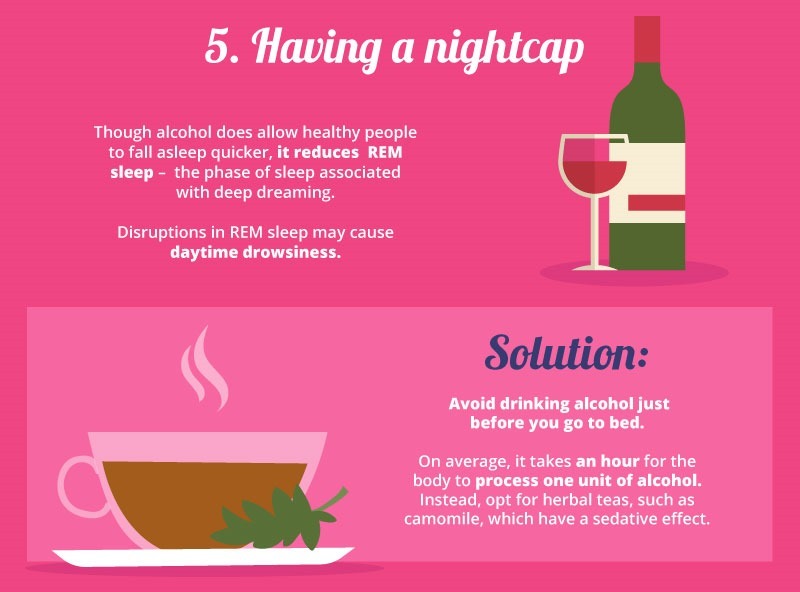 Avoid alcohol before bed. Article HERE from the Cleveland Clinic on what happens when you drink alcohol before bed. Think scary nightmares, sleep walking and frequent waking. No hydrating after dinner. I have a huge issue with this and usually drink a glass of water after dinner. That combined with my high water intake during the day leads to frequent potty breaks at night. I need to be better about this. My old weim wakes me up 2-3x a night to potty. It’s super frustrating when I have to get up before her and then I have 3 dogs ready to go outside. Yes, I have 3 dogs, which leads to the last thing. We aren’t supposed to sleep with our pets. 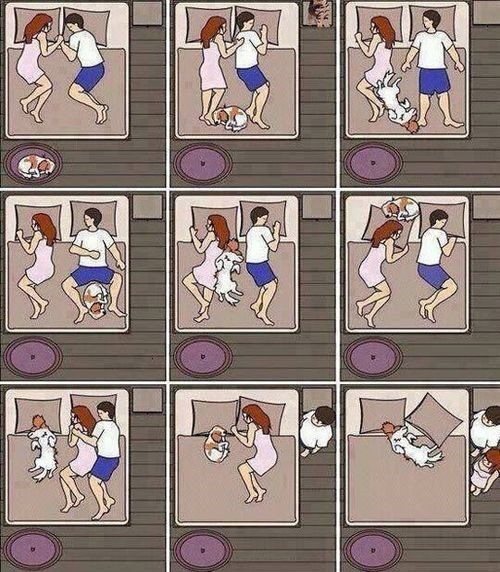 If you have a dog, or two, or more in your bed at night, I don’t have to tell you why. This graphic says it all. My lovlies cause me a lot of unrest at night. But I still love them and wouldn’t change a thing. Do yourself and your body a favor and try to get some extra rest. I know I can’t make up for sleep deprivation but sometimes on the weekend I like to lay down and rest for a bit mid day. Makes me happier and allows me to stay up longer with the kiddos for fun things like movie night. If you need me, I’ll be thinking about sleeping cuz I’m a little short on it for the week. Any other suggestions on sleeping, getting to sleep or staying asleep? Let us know! Each year, Halloween makes fit mom’s cringe. Not just because of the sugar our children will ingest and the subsequent bouncing off the walls and possible vomiting that may ensue, but also because of the temptation that it brings into our home. 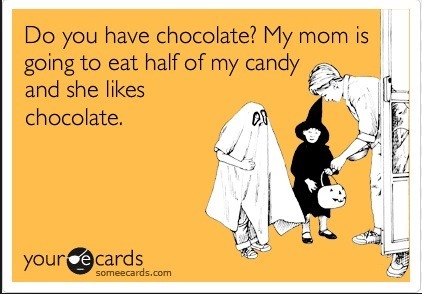 We don’t buy candy for a reason and it doesn’t have much to do with our crazy kids. It’s hard to resist. We love it just as much as they do, maybe more. In order to not sabotage every workout that you’ve done this week, I suggest having a game plan going into the big day. Yes, you can eat SOME candy but don’t eat it all. My kids do not like Almond Joys. So every house that they go to where they get one, they immediately come back to me and hand it over. I promise to not stuff that Almond Joy in my face as soon as it’s within my grasp. I’m going to have a plan. I’m also going to hope that it’s cold and miserable so that we go to fewer houses and bring home fewer goodies. Eat real food before heading out to trick or treat. Even if it’s just some turkey slices & carrot sticks, I’ll not be heading out when I’m hungry. I’ll take a bottle of water or coffee to carry with me while we are out. Then I’ll have something to keep me distracted and hopefully keep my tummy full. I will not eat every Almond Joy the children receive. Pinky Promise. Limiting myself to 2-3 items this year. And those would be the “mini” bars, not the big boys. I’ll attempt to limit the number of houses that we visit without limiting the fun. I’ll encourage the children to trade their unwanted candy with their cousin before we head home so that we don’t have a bunch of “unwanted” candy laying around after the holiday. 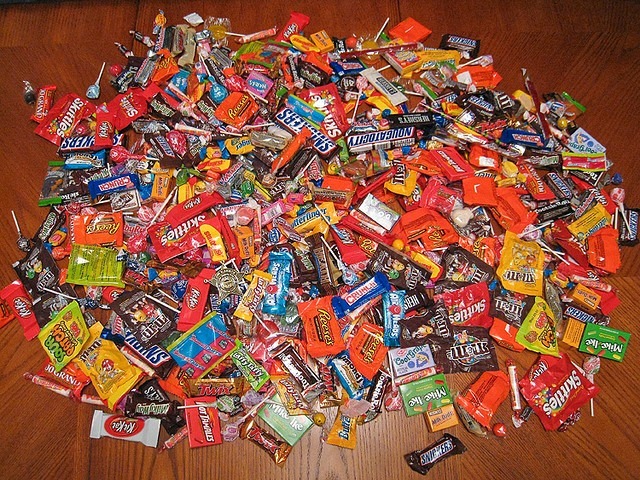 If there is a lot of candy, I usually bag some up and take it to work for my co-workers so I get it out of the house. However, now that the kids are getting older & wiser, that isn’t so much of an option but it might be for you. Do it, if you can get away with it! I’ll make sure I get in a workout pre-Trick or Treating and the morning after. 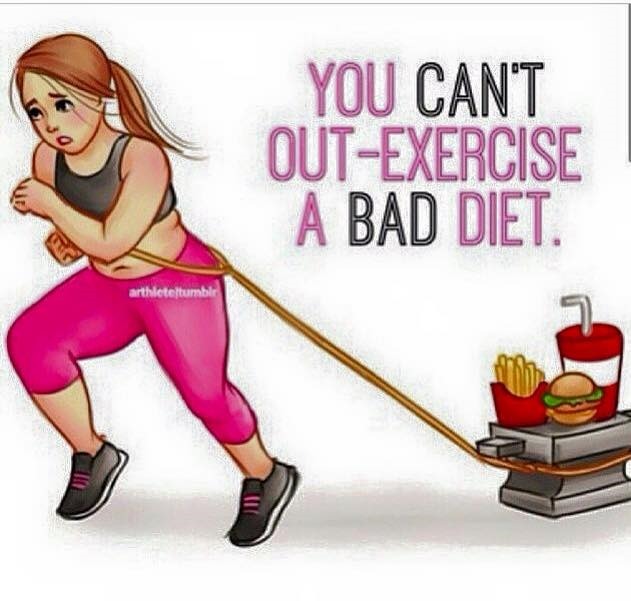 I can’t out exercise a bad diet but I can work off a few Almond Joys, IF I focus and keep control. Lastly, I want to leave you with these graphics. 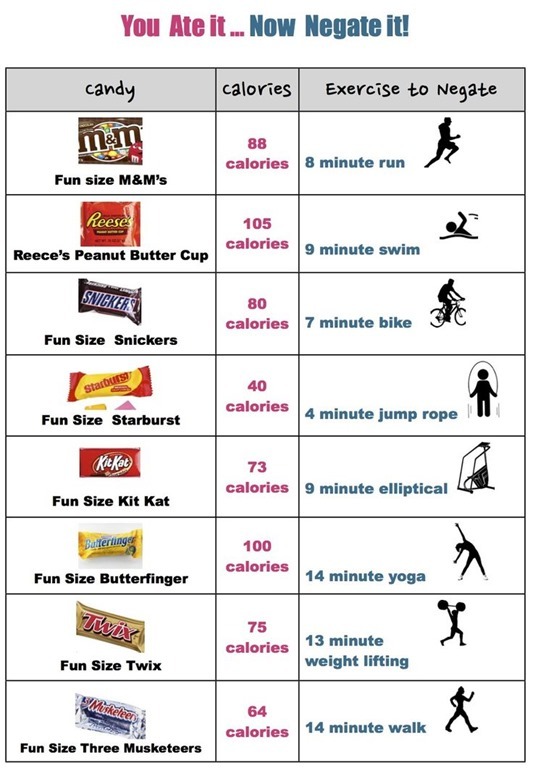 I think it’s important to know exactly what you have to do to work off your favorite candy. 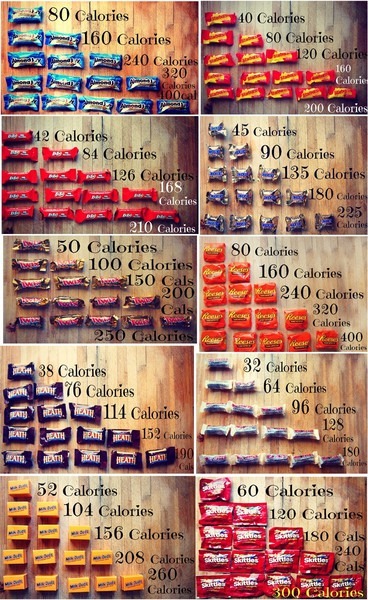 It’s a real eye opener to see the calorie counts of some of those minis. 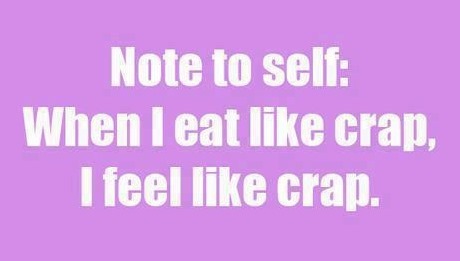 It’s okay to treat yourself but NO mindless eating. It will do more harm than you think. Keep it together. Stick to the plan. You can do this!! Related Posts: Halloween Confessions and Halloween Hangover. I wanted to touch base with all of you today and talk about a few things. So many of my blogger friends, run friends & Facebook friends are just killing it right now. I mean KILLING IT. Running killer times. Lifting heavy weights. Qualifying for Boston. Conquering new and horrific challenging distances. And I’m proud of them. They worked hard and they deserve everything that comes to them and more. But there is a whole group of us, myself included, who are also working hard but it doesn’t look quite as great on paper. That’s because we are a Work In Progress. 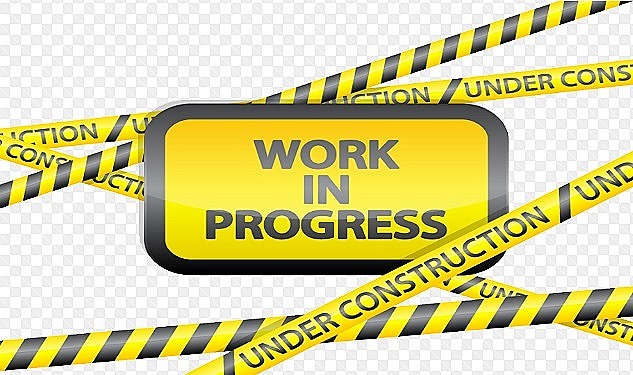 And let’s be honest, some of us will forever and always be just that …… a Work In Progress. Social Media can be as great as it is horrible. There is so much to motivate us and even more to tear us down. Let’s build our network accordingly. Keep the motivators, get rid of those who spew negativity toward us and others. Focus on what we can control. Identify our weaknesses. Be positive. Know that things don’t change over night. 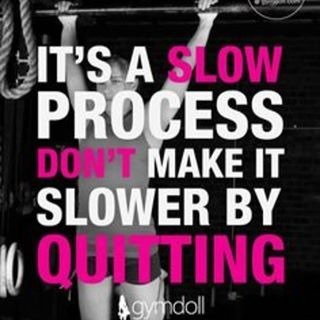 Fitness, life, parenting and work can be hard and getting where we want to go can be a painfully slow process. In real life, there are road blocks. U-Turns. Detours. And people who want to tear us down, possibly because they are miserable and too afraid to chase their own dreams. They see us “going for it” and call us selfish, bad mothers, single-minded and/or obsessed. Well, they are right, I am obsessed. I’m obsessed with my own personal wellbeing. Obsessed with wanting to be the best person I can be today, tomorrow and well into the future. 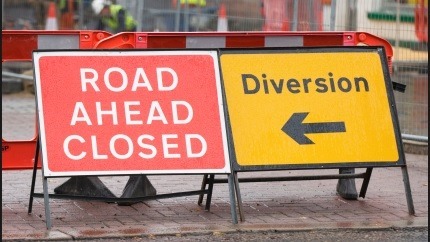 But I still have to take the detour like everyone else. Life is hard. It’s how we chose to react and handle what is thrown our way that defines us as people. Don’t let the fear stop you from chasing down what you want. Don’t let the excuses build a wall around you. Don’t let stress be an enabler. Think for a minute. What’s the plan? What can I control? ANS (for me): Only my actions and reactions. What is my weakness? ANS: I’m a stress eater and let my emotions enable binge eating. 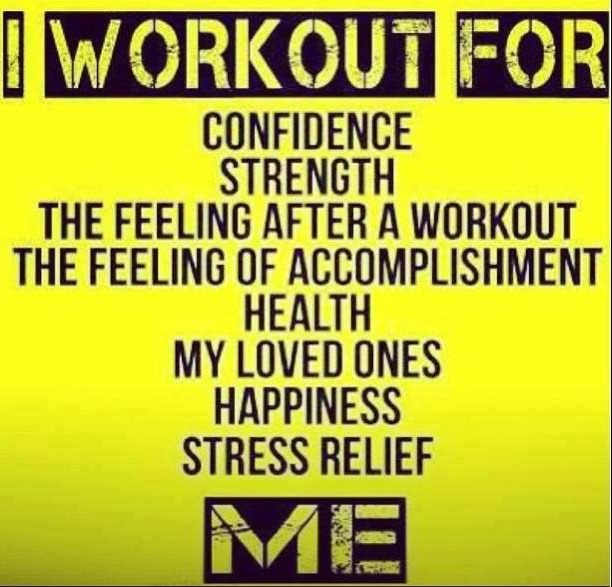 Be positive – I always get in my workouts, even when everything else is falling apart. Know that things don’t change over night – I’ll keep chipping away at fitness even when it seems like my goals are hopeless. I’ve created mini goals to keep things focused and manageable. Over the last 18 months, I’ve been in a period of constant change, chaos and struggle. I look back at the “easy days” longingly and wish that just a fraction of the easiness would return to our lives. I know that it will. I have faith that better times are ahead but for now, I’m focusing on what I can control. I’m doing pretty well with my food, except for the bags of mini health bars that hubby keeps bringing home for me. Unfortunately, today I told him not to bring them home anymore because they are the TTF kryptonite. More salads, fresh veggies, spaghetti squash dinners. Less Heath Bar candy. More StairMaster and Strength Training, less mindless running. I can barely move my 35# kettlebell at this point and that makes me sad. And most of all, no matter what, I refuse to give up. Even if I never get back to where I “once was”, I’ll keep working toward new goals. Pursing new things with dogged determination because I know that for me, fitness is about more than the size of my jeans and more about the state of my mind. Marathon #23. State #14. 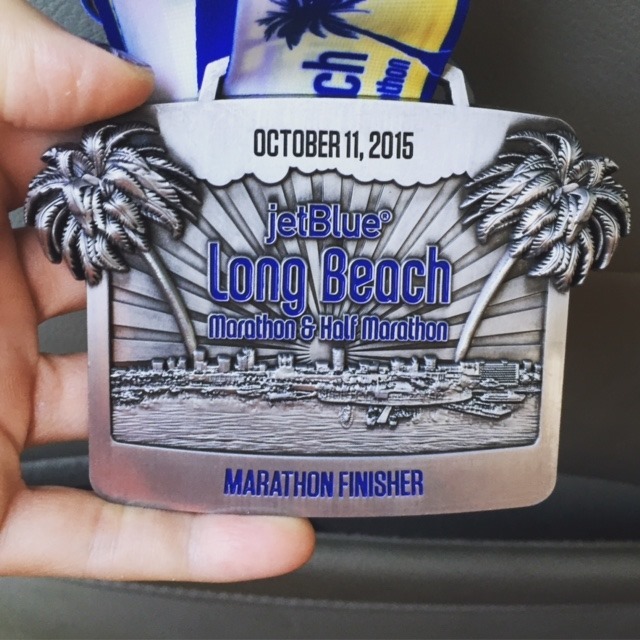 Long Beach Marathon. Long Beach, California. 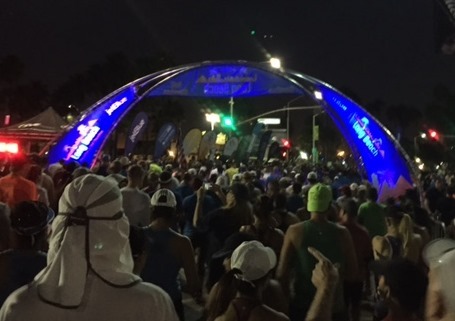 The Long Beach Marathon was expecting close to 20,000 participants and record high temps. The story was all about the weather and staying safe. Unfortunately, I have a bit of experience in the heat, in fact every marathon I’ve ran this year (6 to date) has had temps above 85 degrees at the finish. But that doesn’t mean I like running in the heat and it doesn’t make it easier and I’m not getting used to it. In fact, I may be getting a little grumpy. 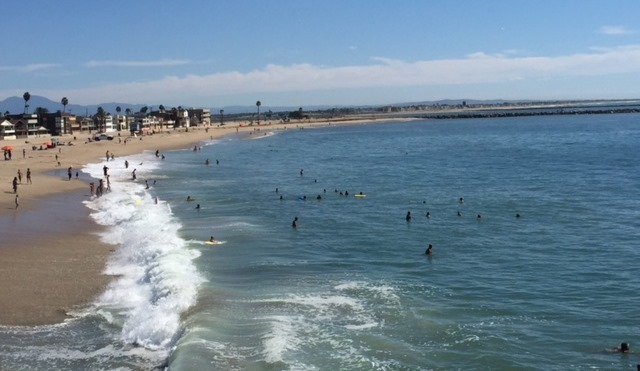 But the views around Huntington, Seal & Long Beaches made the heat tolerable. 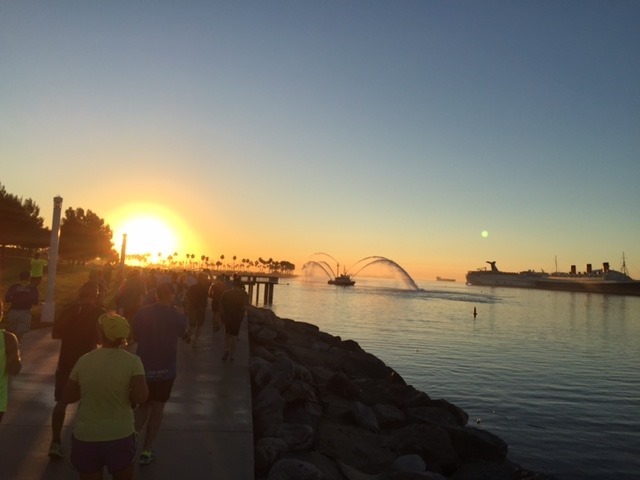 What Long Beach served up besides temps near or at 100 degrees was a beautiful location, a large expo and nicely ran race with multiple distance options. There was a Kids Mile, 5K, Half Marathon, 20 Mile Bike and the Marathon. The expo was large with almost 90 vendors. Packet pickup was smooth, easy & they even offered a shirt exchange option, if by chance you needed a different size shirt. Race morning, the roads surrounding the race all closed at 5am. There were a lot of parking areas, some of which could be pre-paid prior to race day. Lots of potties and a stream of people heading toward the start. The 20 Mile Bike, Wheelchairs & Marathoners were scheduled to start at 6am; however, due to the heat, race officials also gave the half marathoners the option to start at 6am (instead of 7:30a). So we had an additional 10,000 people opt to start running at 6am. This resulted in total chaos. There were no start corrals. Just bodies of people waiting to start running. We started running about 6:15am, along with everyone around us. Without start corrals, runners were not ordered according to pace and we all know the walkers want to start as close to the front as possible. So the first few miles were slow and we spent a lot of time weaving around other runners without trying to expend too much energy since we knew it was going to be a tough day. I immediately felt warm. Like too warm. So I was very focused on not pushing and staying as comfortable as possible. At every aid station, I made sure to drink Nuun (if offered), water and dump water on my head and body. I knew I needed to keep my body as cool as possible in order to squeak out a finish. The first 6 miles were good. It was dark, the sun was coming up, we were protected from the sun. Around mile 6, we ran around Rainbow Harbor and had an amazing view of the Queen Mary. Then we ran past the aquarium & start area, and into the sun as we headed toward Alamitos Beach and a long straightaway with beach views and full sun. Things were still good around Alamitos Beach but I could feel my body slowing. Involuntarily. We weren’t running fast but too fast for me and the dance with the sun. Alamitos Beach turned to Junipero Beach, then we passed the Belmont Pier and the Belmont Pool which is famous for holding the 1968 and 1976 Olympic Trials and because it was used as a training pool for the 1984 Olympics in LA. But things were still good. We were still smiling. We were still together. Lara, Me & Julie. 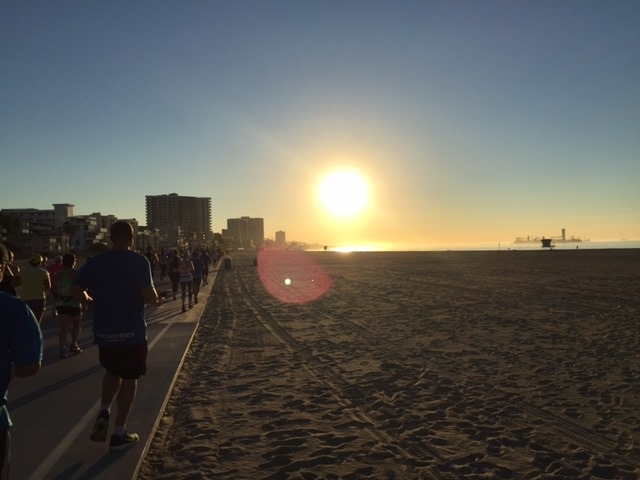 After the Belmont area, we turned out onto Ocean Boulevard and away from the sun, said farewell to the Half Marathoners and headed east into the surrounding neighborhoods. That’s pretty much when the fun ended. Miles 10.5 to approximately 23.75 were thru neighborhoods, on busy roads. The highlights were the Marine Stadium and California State University Long Beach. The University campus offered up a few hills but also some much needed shade. 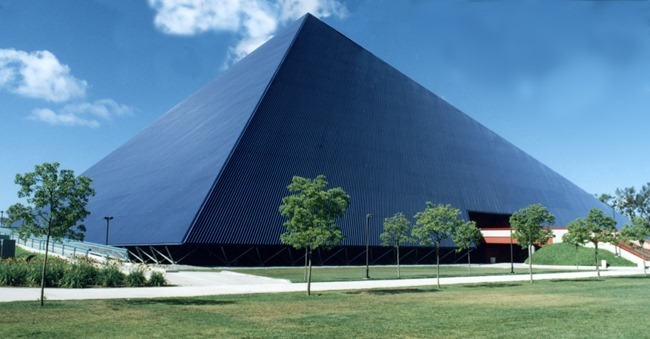 Coolest thing I saw in these rough miles was this fun pyramid building on the CSU campus, which we passed 2x. The race was well staffed, had plenty of water & Nuun. Three stations for Honey Stinger gels. Two stations for ice. Two stations with misting fans. One beer station. Lots of port-o-potties, which were clean. Volunteers and police were very supportive. Residents were supportive offering cold bottles of water, pretzels, donut holes and oranges from their own homes. But I’m not going to lie, it was hot and my tummy was super upset from the heat and the extra fluids I needed to survive the heat. It was really quite miserable. Julie, Lara & I split. It was all about survival. And we did survive but that was about it. This is one race where I think I’d recommend the half over the full. I don’t feel like I saw anything exceptional after we split from the half. 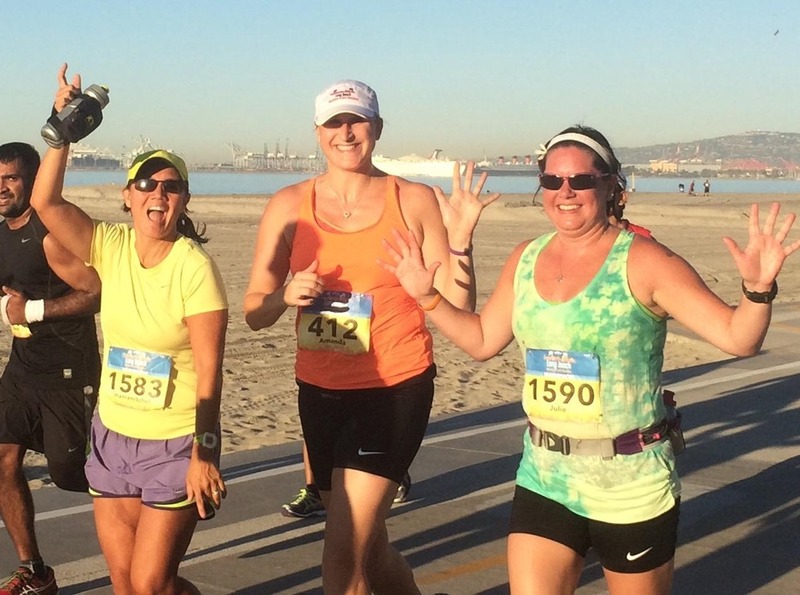 If you are in it for the beach views, you’ll see them all before mile 10. Then it’s just more pounding of the city streets. Finish was downhill. Thank freaking goodness. Cool medal. Cool shirt. And California is officially checked off the list. Huge shout out to my friends Lara & Nels who shuttled us around, fed us, and housed us during out brief visit to the Golden State. What’s next? Hopefully at least some cooler weather and maybe just one decent marathon time for 2015? Race wise, look for me at: Indianapolis Monumental Marathon (11/7), Route 66 Marathon + Detour (11/22), Huff 50K (12/19), and then we will be picking up our deferred races (due to injury) from last January for the Mississippi Blues Marathon (1/9/16) & First Light Marathon (1/10/16). Yes, a double marathon weekend. Sounds fun, right?!? Lots of races ahead. I took most of the summer off for TRI training and we’ve spent a ton of time and $$ fixing up the IL house over the last month or so. The IL house will be on the market at the end of this week and we are ready to get back to business as usual. Let’s do this!!! September certainly opens the door for the fall racing season but October is marathon month. So many great races. So little time. This year I did NOT register for the Chicago Marathon. Yes, I love the race. Yes, most of my IL and IN friends are running it. No, I didn’t cave like I always do and toss up a huge entry free for a race that I’ve ran time and time again. 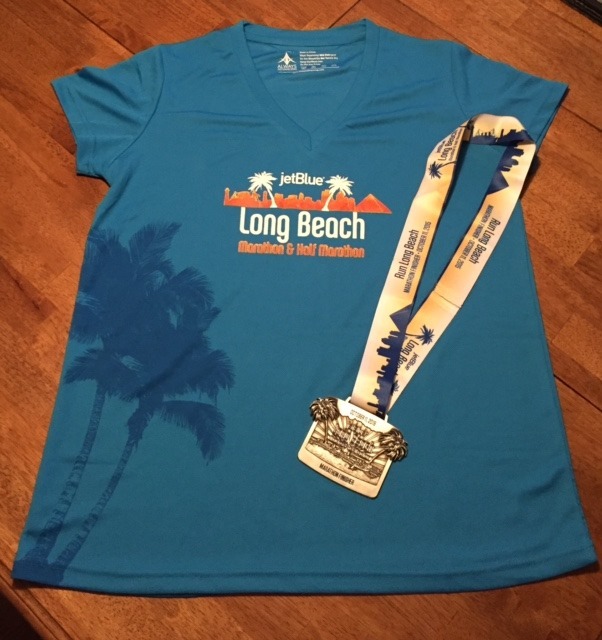 This year, I’m heading to Long Beach, California for the Long Beach Marathon. I picked Long Beach cuz it was 1) on the same day as Chicago and 2) because my friend Lara moved out to the Long Beach area at the same time my family moved to Auburn, Indiana. I haven’t seen Lara since their move and I can’t wait to see her and her amazing family. We’ve spent so much time over the last 5 years pounding miles on dark trails (her and/or her hubby) that I frequently think about them while I run. I smile with thoughts of the stories we’ve told a million times and can’t wait to create new ones. Long Beach won’t be what I initially imagined. Lara is a super fast runner who never complains about my slower pace. 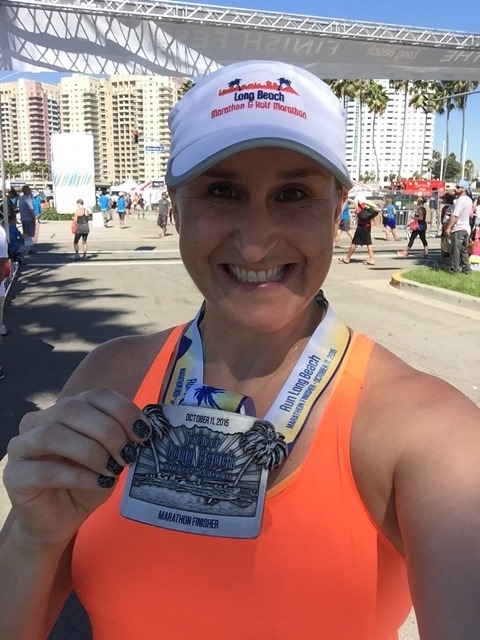 When I signed up back in February, I had thoughts of a new marathon PR. I envisioned myself fit and fast. I imagined the perfect race. But life isn’t perfect, so my vision has changed and I’m not at all sad about that. 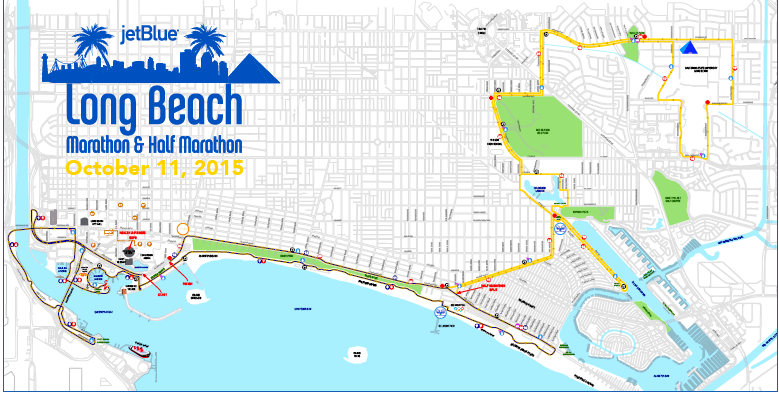 We will have a great time running the Long Beach area, singing, dancing and laughing over the course of 26.2 miles. It’s going to be hot. 94 according to accuweather. But we’ll be together and we are lucky enough to have another friend, my girl Julie M., along for the fun. And fun we will be having. Look at this amazing course. Lots of blue water to bring us a breeze and beautiful sites. Since we are facing a hot race, I’ve reviewed a couple of my old posts about the week leading up to important races/marathons. Feel free to check out the Race Week Do(s) & Don’t(s) or the Marathon Week post for pre-race tips. For us, we will be hydrating with electrolytes all week. We have packed the salt caps and our favorite run visor. 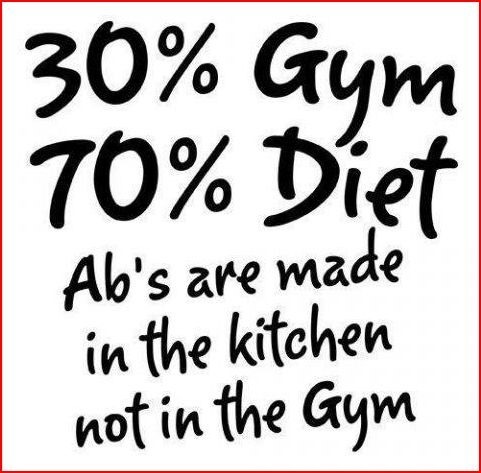 We won’t be carb loading so much as eating healthy nutritious foods with complex carbs, lean proteins and healthy fats. It’s pretty apparent that nobody will be PRing on a 94 degree day, no matter how spot on their training or how amazing their fitness. So we have put our expectations in check and we’ll focus on the positive: enjoying our race, making sure everyone is hydrating and keeping up with fuel/electrolytes, and having as much fun as possible being together and doing what we love. 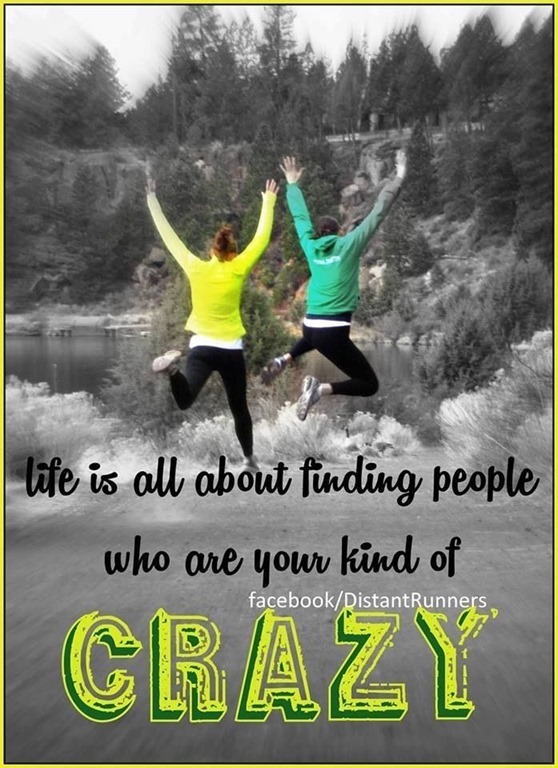 I’m thankful for crazy friends who think that fun = running long.